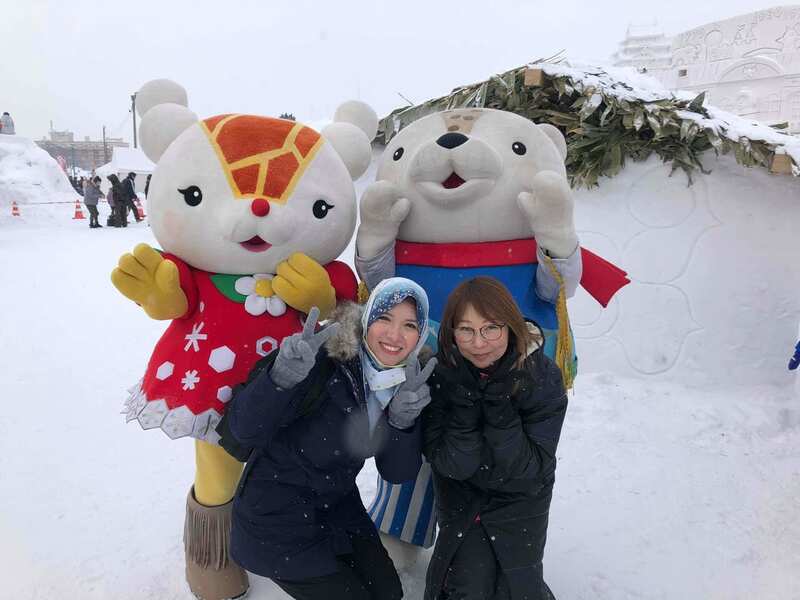 The 60th Asahikawa Winter Festival as the Hokkaido’s second largest festival had been held on Feb 6th to Feb 11th this year. 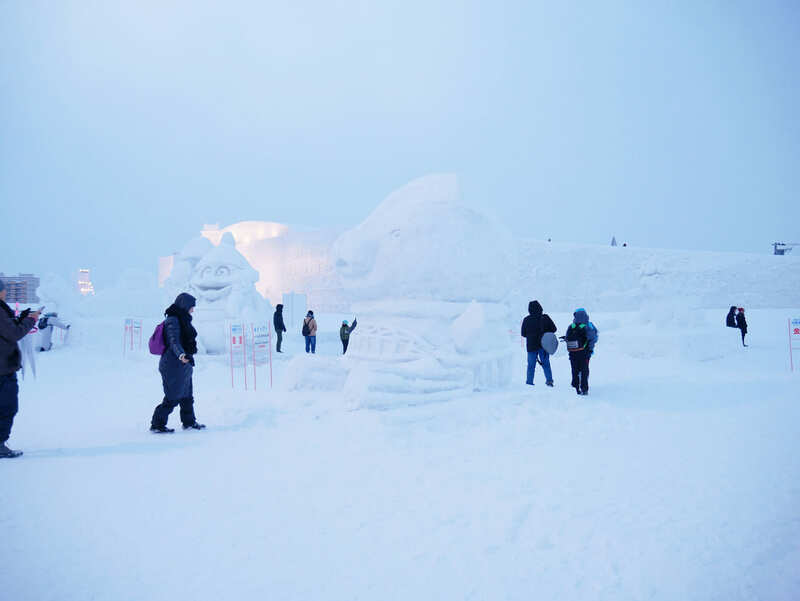 With all-white piled up snow as far as the eye can see and huge yet detailed snow sculptures, Asahikawa Winter Festival has been an attractive event to see during winter in Hokkaido. 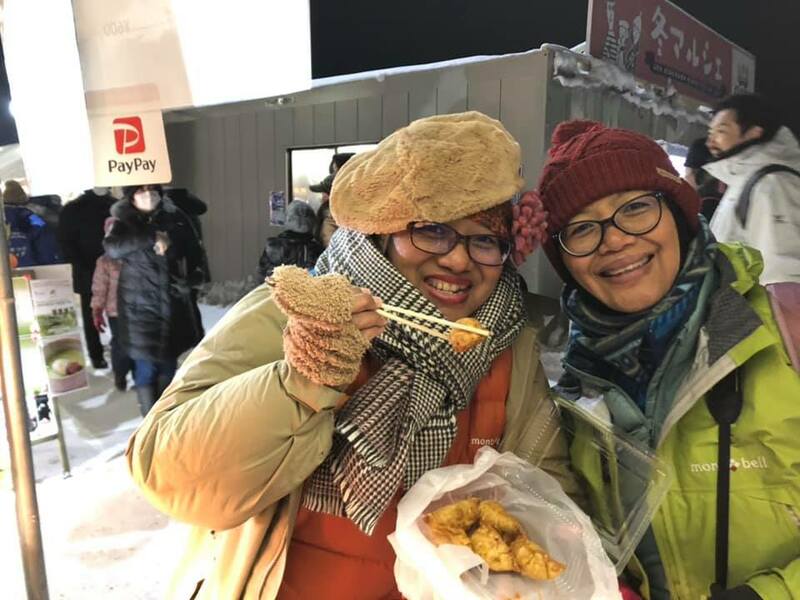 In the midwinter in February, Asahikawa’s temperature drop into -14 degree at the lowest, with average temperature around -6 degree. 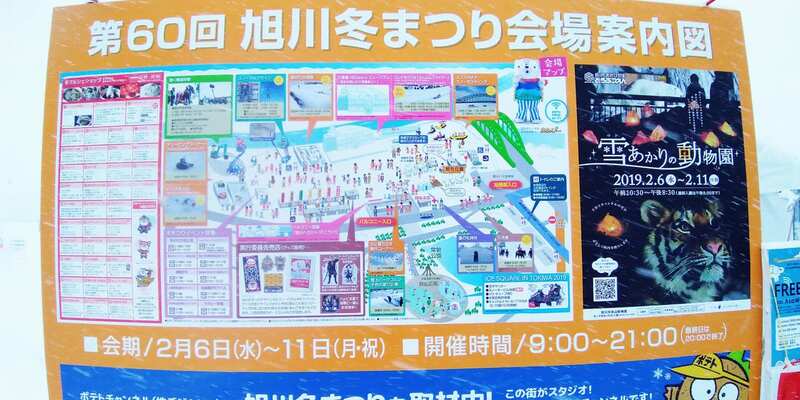 Asahikawa Winter Festival held at the riverside nearby Asahibashi Bridge. 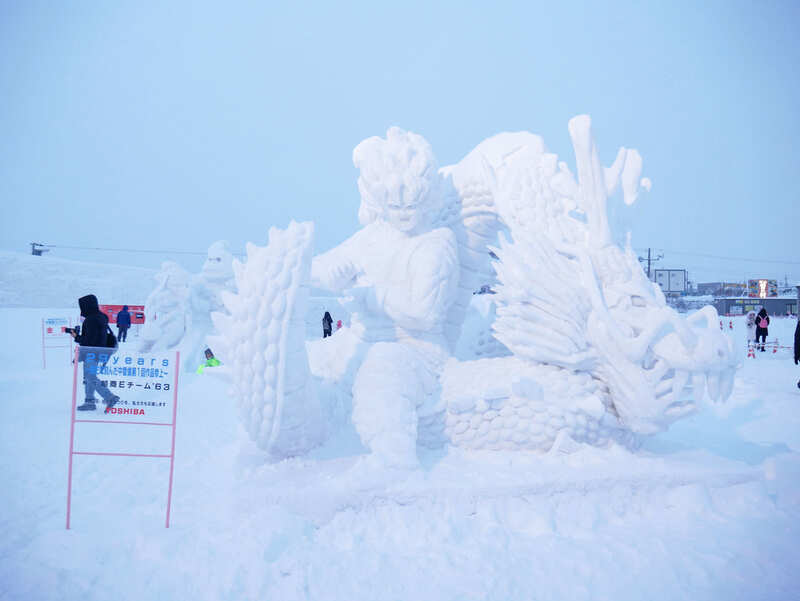 In the entrance, we were welcomed with big snow sculptures of various characters, such as Dragon Ball, Pokemon, and also a Japanese well-known comedian on the right side, there are a cute ice sliding on the back, and a lot of smaller snow sculptures with carved by local students on the left side. 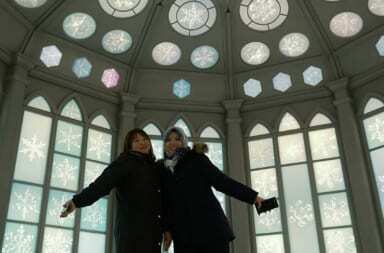 Walking deeper, there were a snow traditional house and the beautiful snow mosque on the left side! 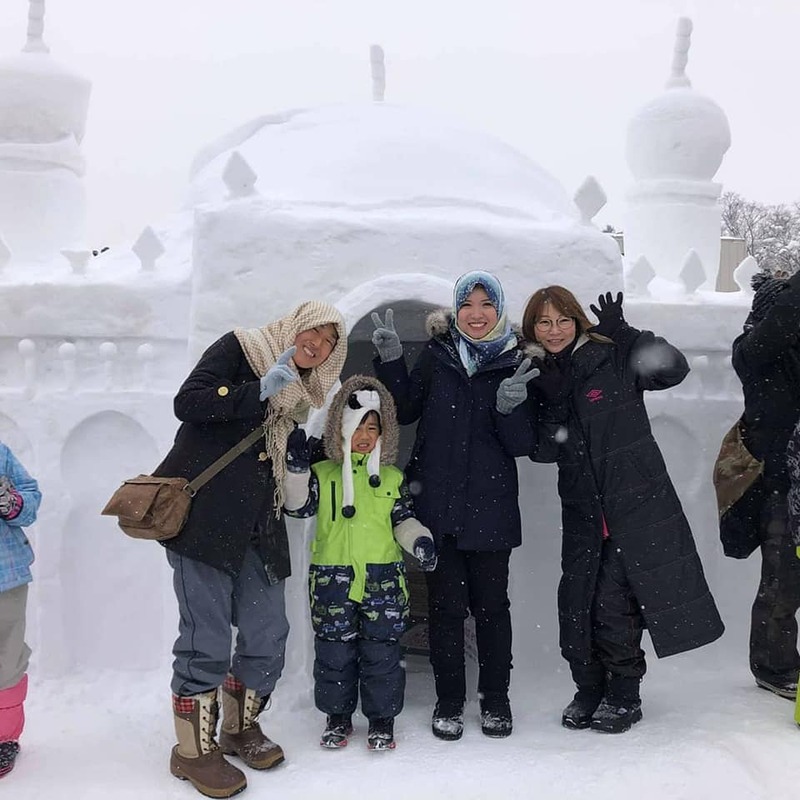 This snow mosque had been gaining a great response from abroad with the idea to build one from snow. 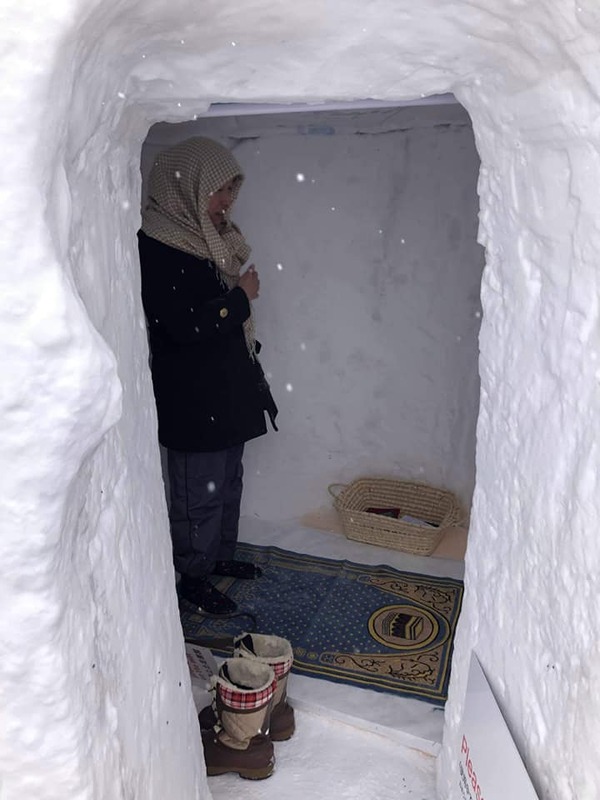 The snow mosque was not only a sculpture, but Muslim can do pray inside! 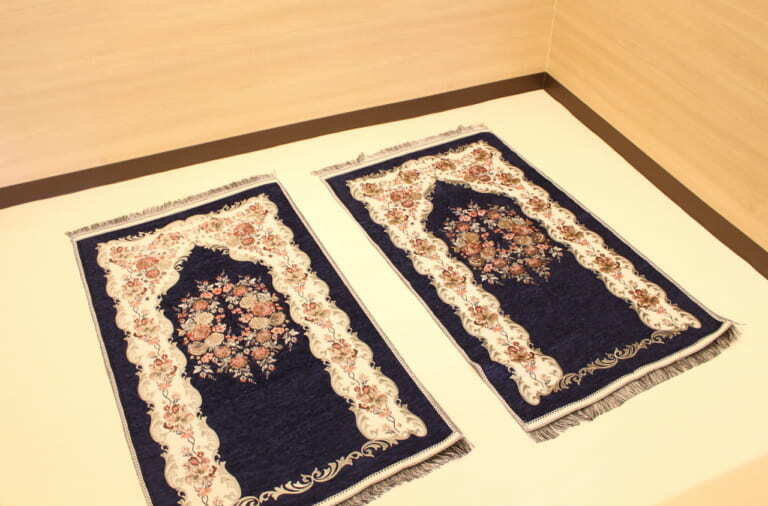 There was prayer mat available inside the snow mosque. 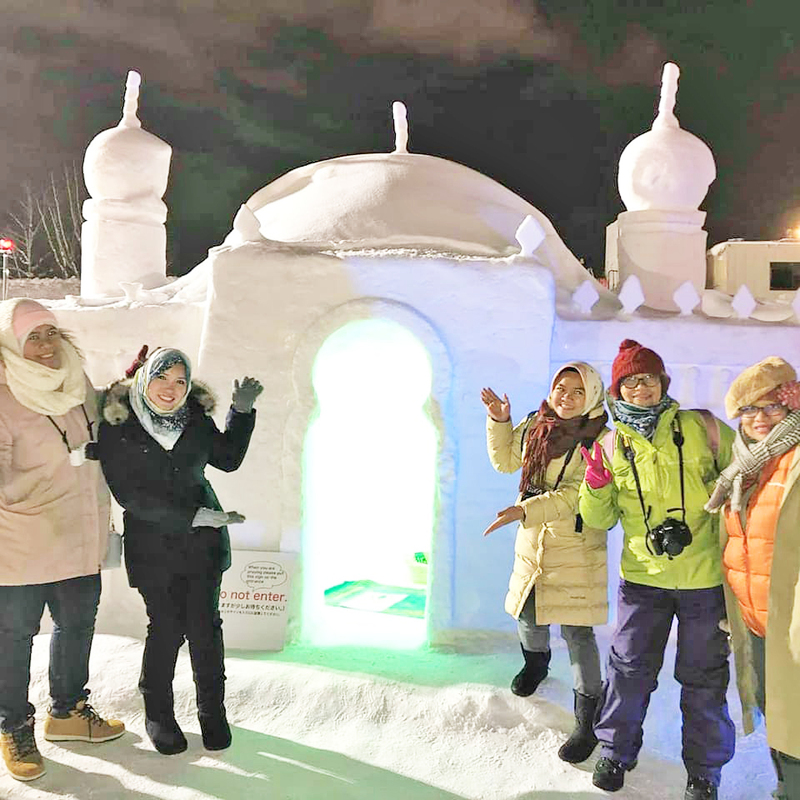 This snow mosque is only available in Asahikawa Winter Festival! 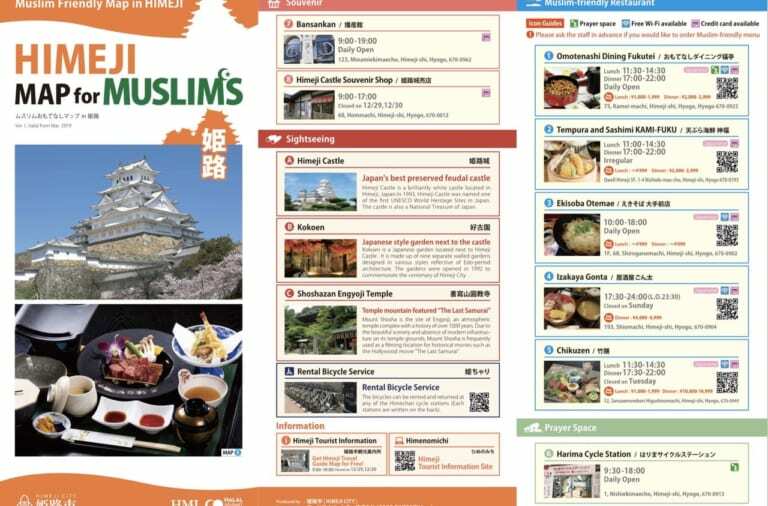 At night, the mosque was beautifully illuminated. 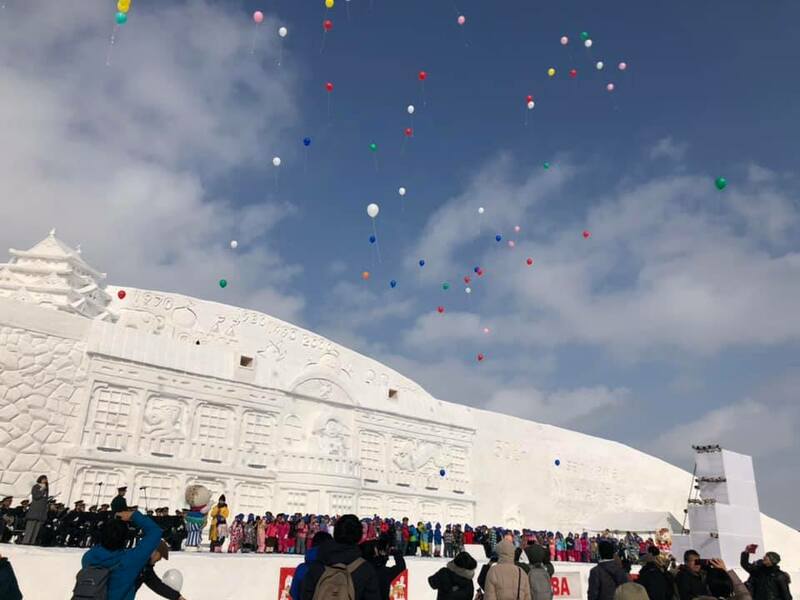 On the other side, we found an extremely huge snow stage where many local performers made their outstanding performances there. 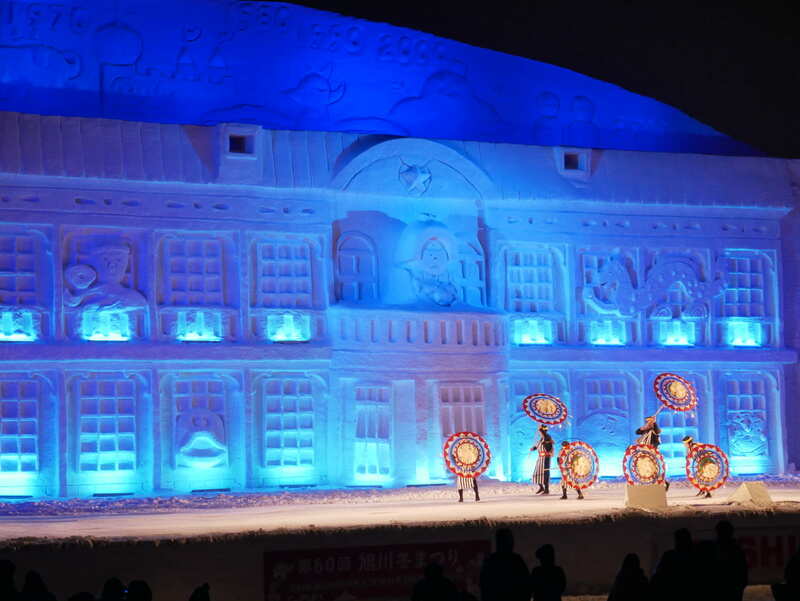 The performances vary year by year, made it becomes an awaited event in Asahikawa! 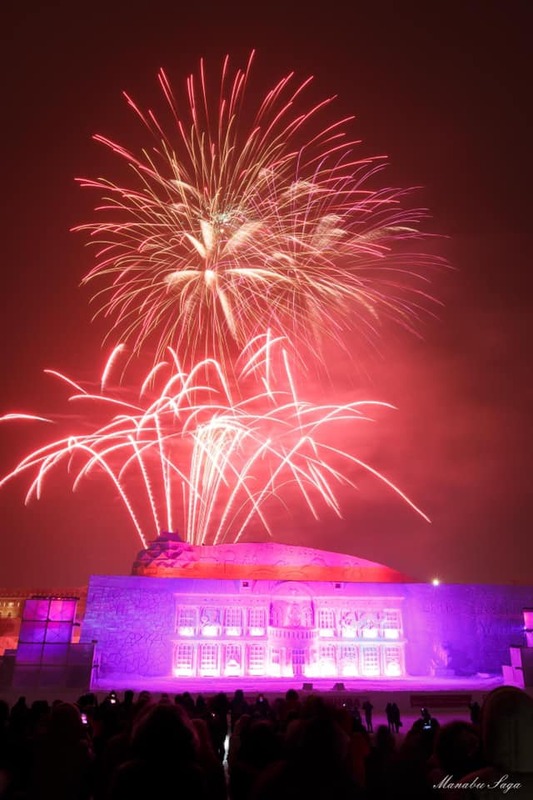 Also, the stage became the main spot for fireworks. 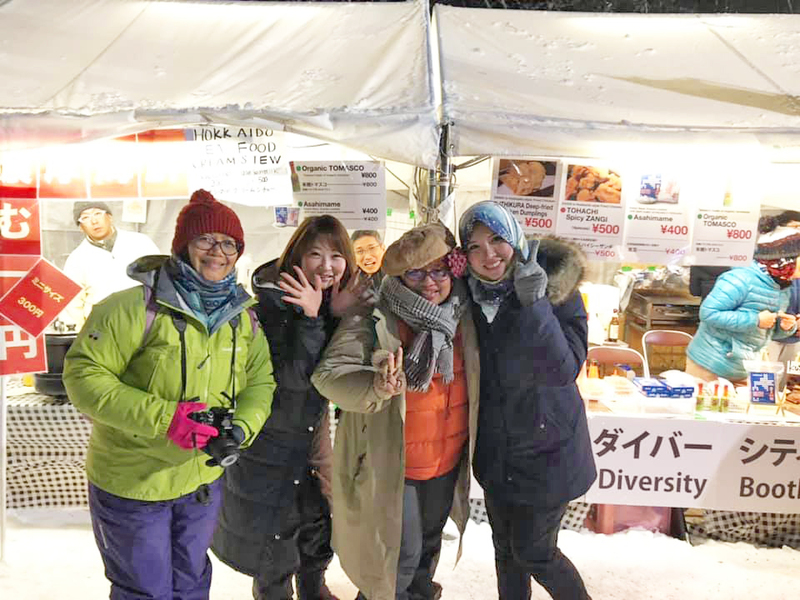 Fireworks is usually in opening and closing, but this time, in order to commemorate the 60th Asahikawa Winter Festival, amazing fireworks event was held every night during the one week festival! 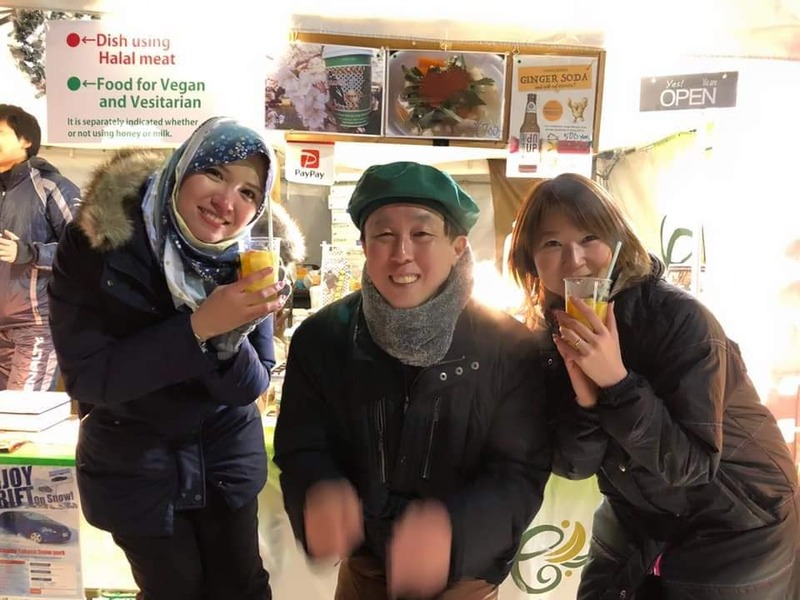 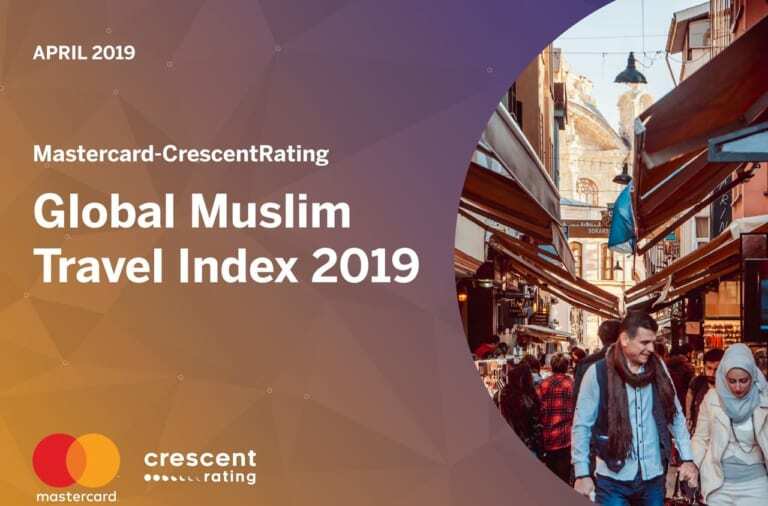 Asahikawa has been increasing halal and muslim services, both in restaurants, prayer spaces, etc. 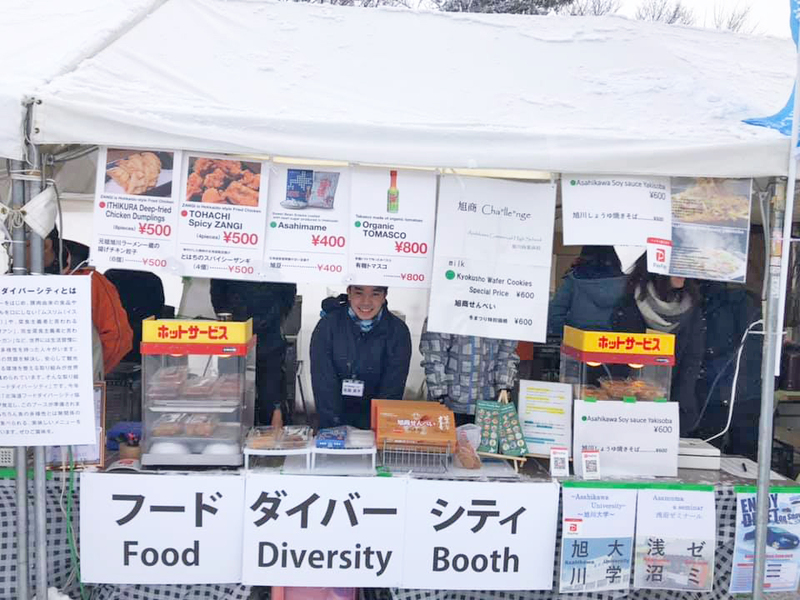 In the festival, there was Food Diversity booth serving halal and vegetarian foods! 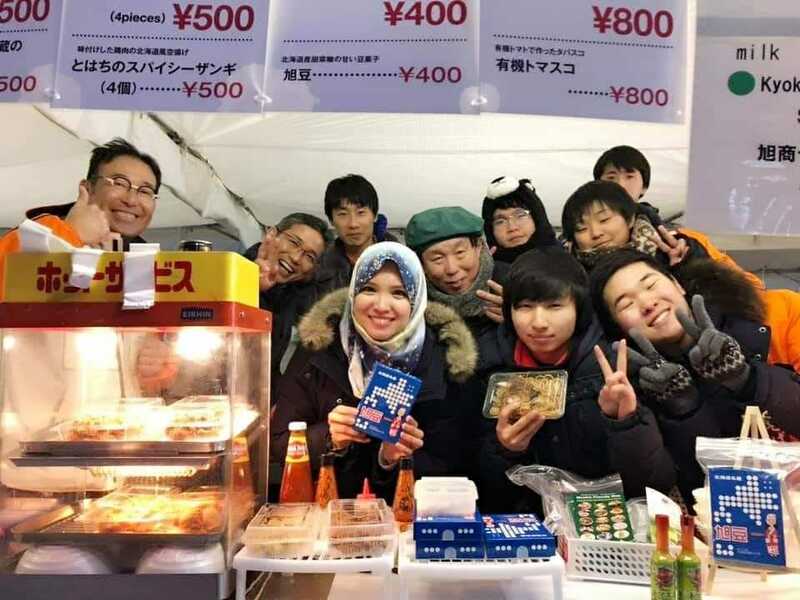 From taiyaki (using halal butter), chowder, gyoza and spicy fried chicken, halal local snacks, to yakisoba (Japanese fried noodle). 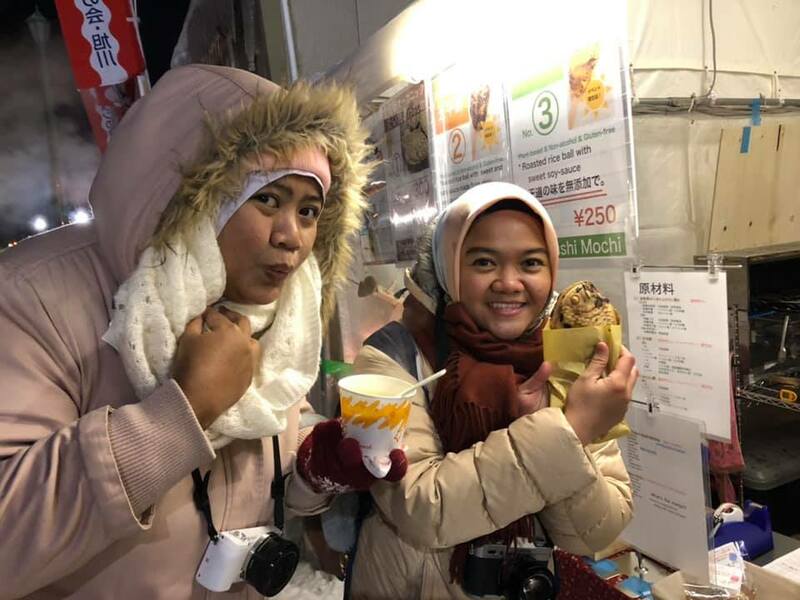 There was also hot Japanese green tea which is suitable to beat the cold. 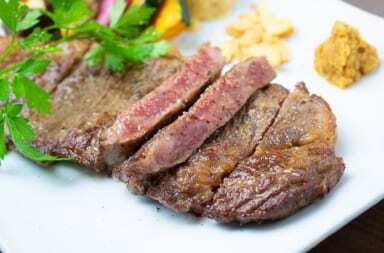 Foods they are serving are also MSG free, so those with health consciousness can have it at ease. 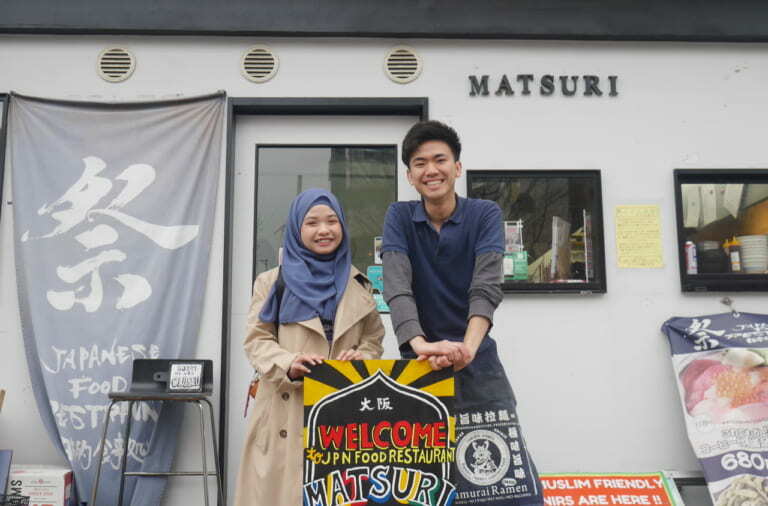 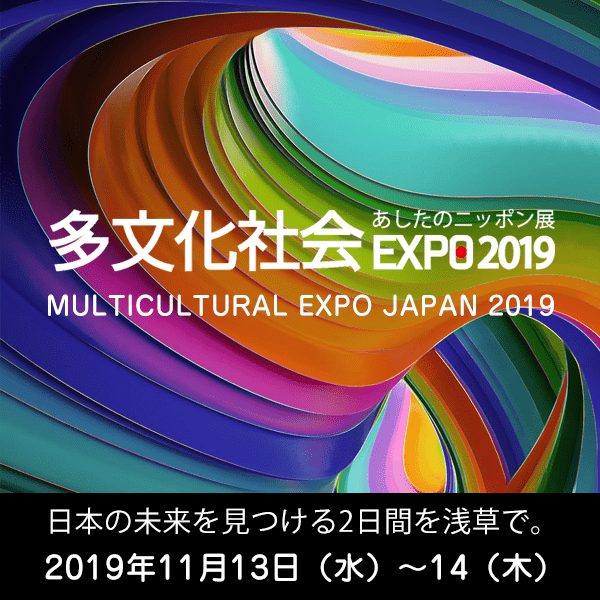 Everyone in the booth is so kind and friendly, attracting a lot of visitors both Japanese and foreigners to come and enjoy the meals. 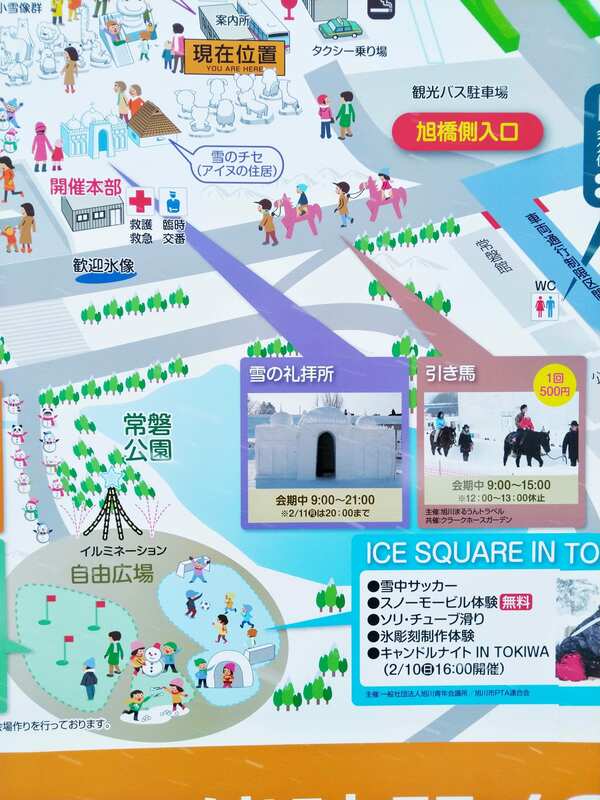 Asahikawa Winter Festival venue can be accessed by 15 min ride by train or by shuttle bus board to Asahikawa Winter Festival from Asahikawa station. 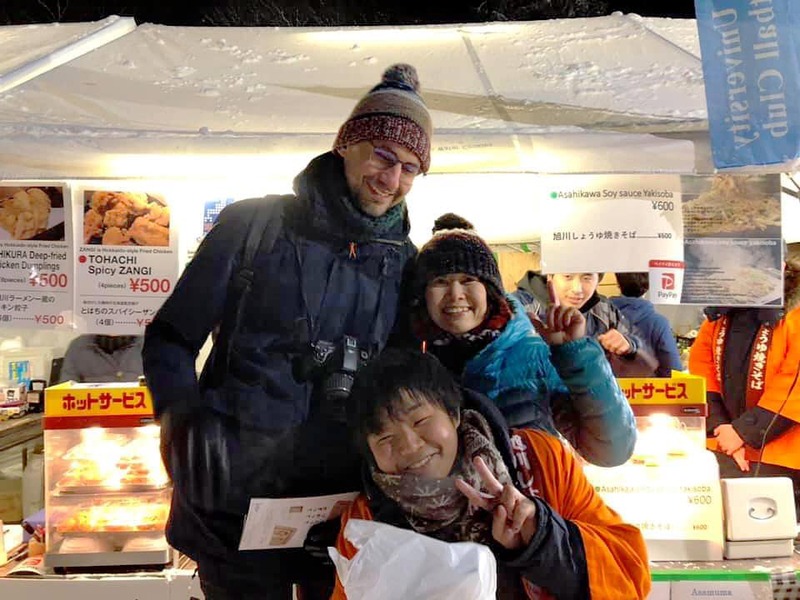 The festival this year was incredibly exciting, we can feel the warm of Asahikawa people ! 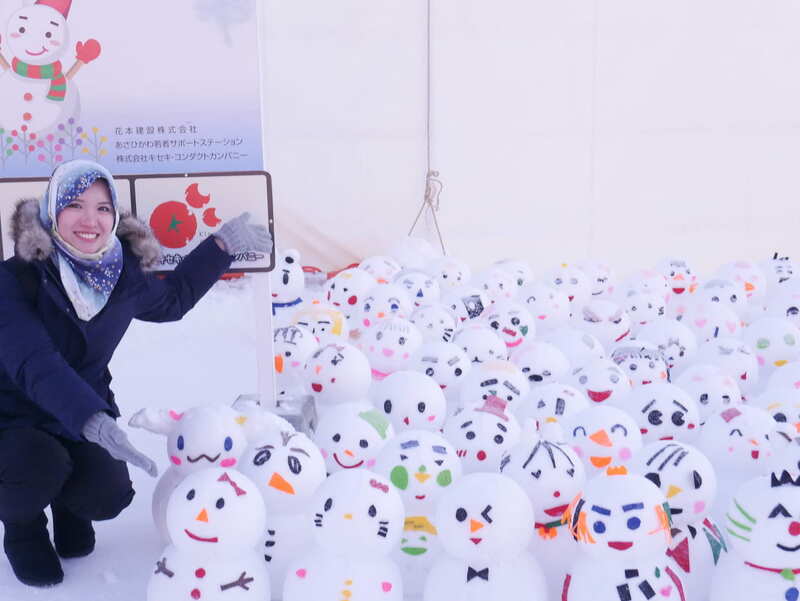 How to visit Asahikawa Winter Festival next year and enjoy it by yourself?